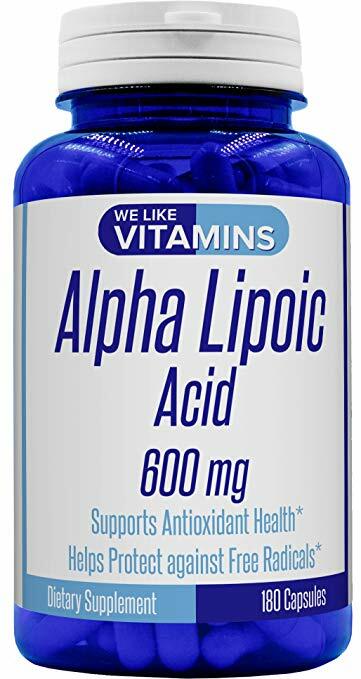 Best Alpha Lipoic Acid Supplements of 2019! Antioxidants receive a lot of attention. So much, in fact, that it’s used as a buzzword in many wellness articles. Antioxidant-rich foods are touted as game changers for your health. But is the hype real? Antioxidants come in all shapes and sizes. We’re talking vitamins, minerals, proteins, enzymes, phytonutrients, hormones, and more. They can be water soluble or fat soluble, allowing them to work inside the cell, outside it, or both. 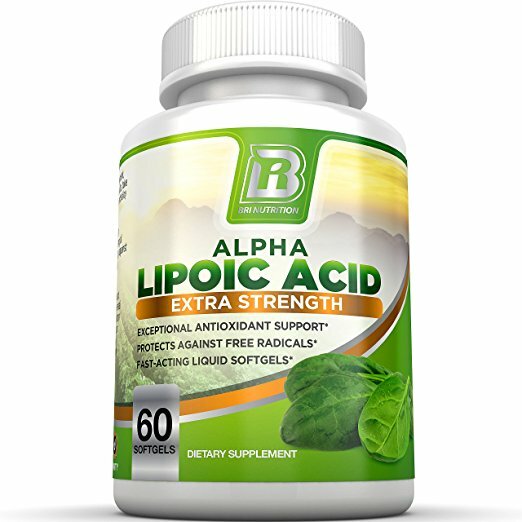 Alpha lipoic acid is a naturally-occuring fatty acid. It’s found primarily in organ meat and some vegetables, although in small amounts. These include kidneys, spinach, liver, broccoli, heart tissue, and tomatoes. Not everyone is chomping at the bit to eat organ meat (if you like them, more power to ya!) so getting in those greens is important. Aside from food sources, our bodies can biosynthesize very small amounts of ALA. ALA is synthesized in the liver within the mitochondria using octanoic acid as a precursor. Here, it acts as a coenzyme to several vital functions within the mitochondria. A big one includes the production of acetyl-CoA, which is used in energy production. Most people may understand that antioxidants help quell inflammation. But how? Inflammation kind of has a bad rap, but it’s not so black and white. Long-term inflammation has negative consequences, sure. But acute inflammation can be protective during an injury. If you fall and bruise your knee, the accompanying swelling helps provide protection so there’s less of a chance of further injury occurring. Blood circulation is increased to bring healing nutrients to the surrounding area quicker. This kind of inflammation is not only not bad for you, it’s beneficial. Chronic inflammation, however, is harmful and is usually a result of free radical damage and oxidative stress. As you breathe in oxygen-rich air, the oxygen molecules react with other molecules in the body. This causes oxidation, or a loss of electrons. When a molecule loses an electron, it wants to steal electrons from surrounding molecules to regain stability. This creates reactive oxygen species (ROS). This is essentially how chronic inflammation starts and spreads. 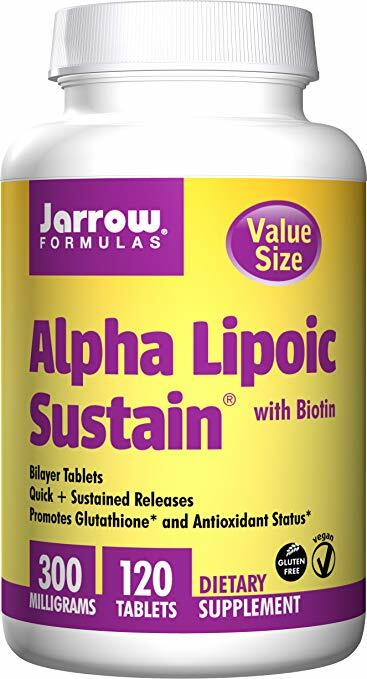 ALA has been shown to improve insulin sensitivity. When you ingest sugars or carbohydrates, your pancreas produces and secretes insulin. Insulin signals cells to uptake glucose from the bloodstream. Those who are insulin-resistant do not respond to insulin signaling. Ultimately, insulin-resistant cells are not taking in glucose for energy production. Instead, it is being stored as fat because it is seen as excess glucose. 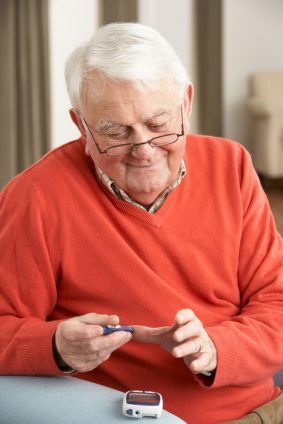 By improving insulin sensitivity, glucose can be regulated at healthier levels. Vision loss and other complications are a result of oxidative stress and damage. While vision problems are often associated with diabetes, there is a whole host of health conditions that can impact eye health. Symptoms of eye disorders can include vision loss, retinal damage, cataracts, glaucoma, and overall eye pain or irritation. ALA can help repair oxidative damage that impairs eye health. This is especially important as we age because eye degeneration increases as we get older. ALA can boost the production of the neurotransmitter acetlycholine by activating choline acetyltransferase. This neurotransmitter plays a critical role in focus, memory, and mood. Deficiency in acetylcholine has also been linked to ADHD, Alzheimer’s, dementia, and Parkinson’s patients. 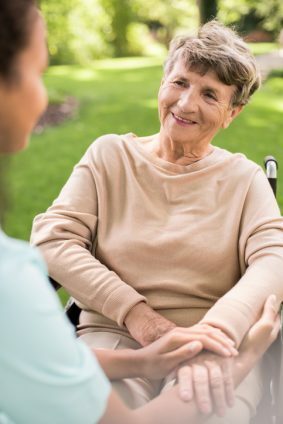 Acetylcholine levels decline as we age, so restoring levels can help protect against age-related cognitive dysfunction. ALA has been shown to be beneficial for skin health and function. ALA can help reduce the appearance of fine lines and wrinkles. 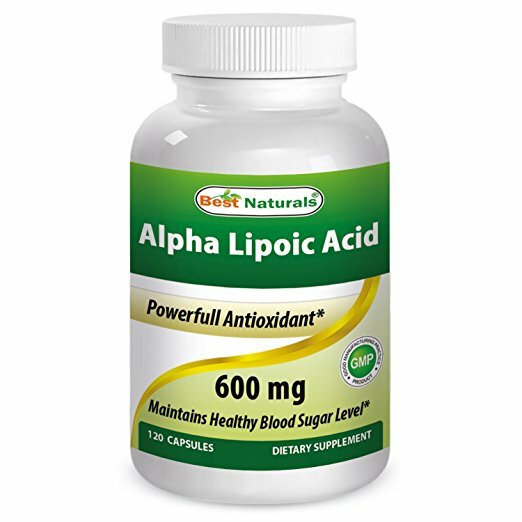 The ability of ALA to regenerate vitamins C and E are attributed to improved skin appearance. This comes along with a reduction in cellular inflammation. These results are supported by a double-blind placebo-controlled clinical study conducted using a topical 5% ALA cream. The participants receiving the ALA cream noted a reduction of fine lines, especially around the periorbital and upper lip regions. There was also an improvement in skin color and texture. No adverse side effects, including irritation or peeling, were reported. There are two different isomer (mirror image) forms of ALA. They are R-LA and S-LA. S-LA is the synthetic version that is made as a byproduct of ALA synthesis and does not naturally exist in nature. Most supplements today are an equal blend of both R-LA and S-LA, although sole R-LA supplements do exist. R-LA is very chemically unstable and will deteriorate rapidly unless kept at the right conditions. This makes encapsulating pure R-LA difficult. Also, without specific processing methods, it is also difficult to absorb. That’s why finding a supplement that utilizes both forms is most likely your best bet. 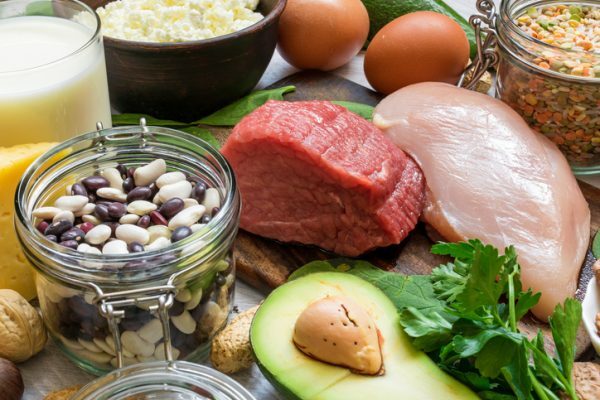 ALA is not an essential nutrient, and as a result, there are no guidelines on the amount needed. However, there are suggested amounts you can take that are dependent on the reasons you’re taking it. For those who are healthy and just want the antioxidant benefits, less is definitely more. A dose of 50-100 mg per day will more than suffice. It is recommended to take it on an empty stomach, as taking it with a meal can interfere with absorption. Those who are suffering from diabetes will want to take 600-800 mg per day, split into two doses. Those who suffer from neuropathy (diabetes-related or otherwise) will need heftier doses, around 900-1500 mg per day. Only attempt to take this dose as recommended by your doctor, and under their supervision. ALA side effects are rare, but they do exist. These include: insomnia, fatigue, diarrhea, skin rash or low blood sugar levels. These side effects are more likely if you are diabetic, have any other health conditions, or are taking any medications. Please speak with your doctor before taking ALA if any of these are a concern. ALA is not recommended for children, for women who are pregnant, and those who are breastfeeding. ALA can also deplete levels of vitamin B1 (thiamine). Therefore, it is recommended that you add a quality vitamin B1 supplement or vitamin B complex. 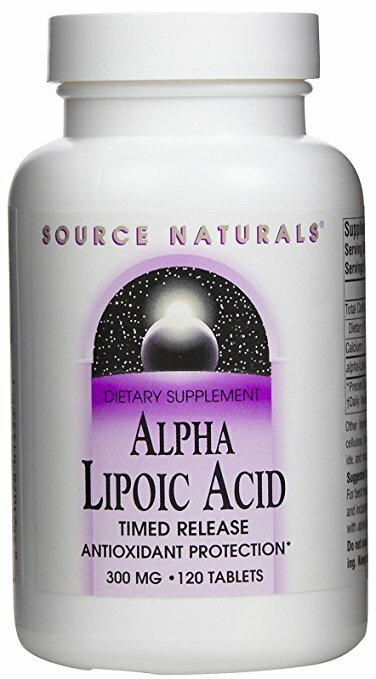 Our top 10 list of Alpha Lipoic Acid supplements is organized to reflect what you most value in your supplements. First and foremost is quality. All ten of our top ten supplements meet high standards of quality and come from brands with a proven record in excellence and purity. Another important factor in deciding the top ten was cost. You don’t have to pay through the nose to get a high quality supplement. In addition, all the companies represented on our top ten list have stellar records with customer service and prompt shipping to ensure that your supplement experience is enjoyable from the first click to your final pill. Shay, Kate Petersen, et al. 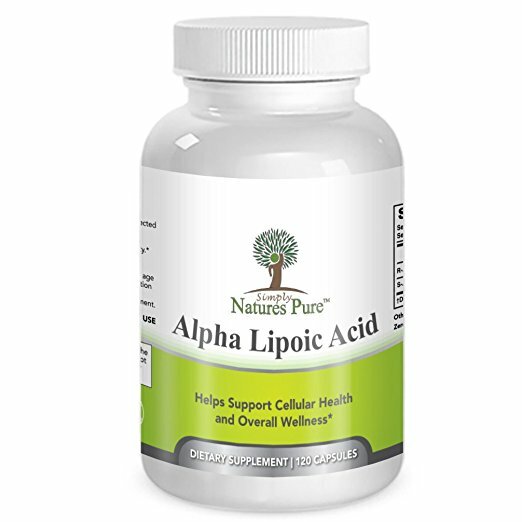 Alpha-lipoic acid as a dietary supplement: molecular mechanisms and therapeutic potential. Biochimica et Biophysica Acta (BBA)-General Subjects 1790.10 (2009): 1149-1160. Machlin, Lawrence J., and Adrianne Bendich. Free radical tissue damage: protective role of antioxidant nutrients. The FASEB Journal 1.6 (1987): 441-445. Nickander, Kim K., et al. 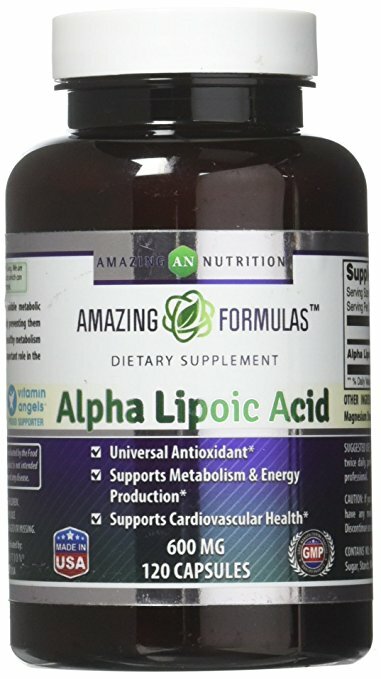 Alpha-lipoic acid: antioxidant potency against lipid peroxidation of neural tissues in vitro and implications for diabetic neuropathy. Free Radical Biology and Medicine 21.5 (1996): 631-639. Demir, Ülkü, Tamer Demir, and Nevin Ilhan. The protective effect of alpha-lipoic acid against oxidative damage in rabbit conjunctiva and cornea exposed to ultraviolet radiation. Ophthalmologica 219.1 (2005): 49-53. Sherif, Saly, Ehab R. Bendas, and Sabry Badawy. 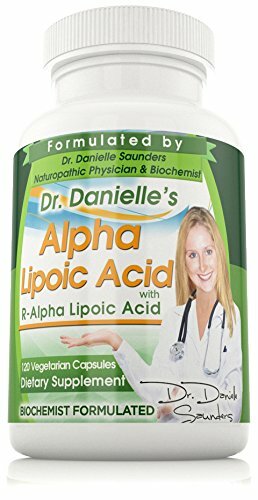 The clinical efficacy of cosmeceutical application of liquid crystalline nanostructured dispersions of alpha lipoic acid as anti-wrinkle. European Journal of Pharmaceutics and Biopharmaceutics 86.2 (2014): 251-259.